The East India Company (EIC), also known as Honourable East India Company, or John company, was an English and later British joint-stock company, formed to pursue trade with the East Indies, but which ended up trading mainly with the Indian subcontinent and Qing China. The company received a Royal Charter from Queen Elizabeth on 31 December 1600, making it the oldest among several similarly formed European East India Companies. Wealthy merchants and aristocrats owned the Company’s shares. The government owned no shares and had only indirect control. In other words, it’s the Trade Federation from the prequels. And, later, the Separatists as a whole. And the execution of the Jedi is supposed to evoke the “Night of the Long Knives,” which was actually three or four nights, during which Adolf Hitler had many of his political adversaries assassinated. So again, as with the Original Trilogy, we find out that the overarching story is not just informed by mythology, but also by real-world historical events. I know some of our listeners and readers have problems of varying scope with the prequels, but I think many of you would agree that it’s the execution of the story, not the story itself, that is so problematic. And it’s Lucas’ grasp of story and mythology that powers the prequels to the degree that a whole new generation exists with an appreciation of Star Wars. Today’s question: What is the first alien species seen in Star Wars (aka A New Hope)? 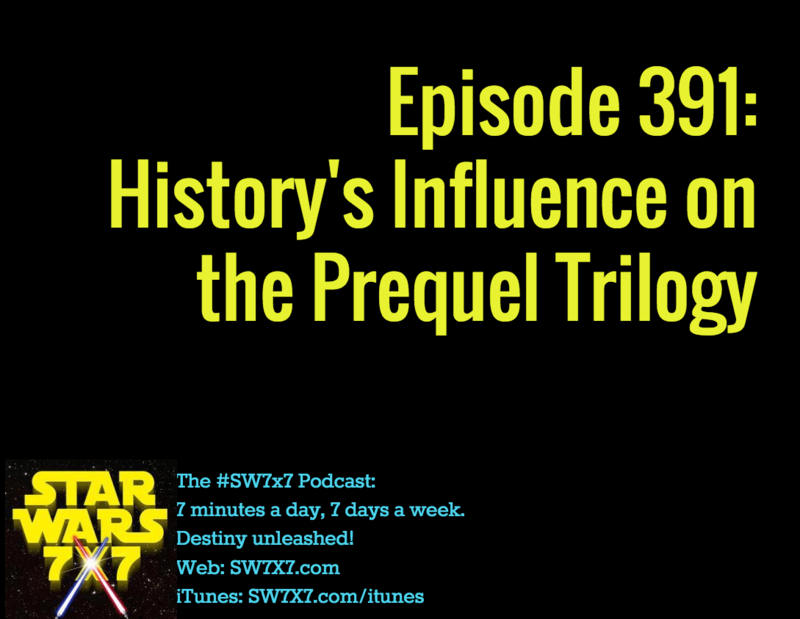 Next Post: Episode 392: Do Myth and History Inspire the Sequel Trilogy?